In my mind, organizing and planning go hand in hand. It’s like giving stability to an idea; like having a firmly rooted plant that can grow many different branches. You start with what you would like to see happen ideally, and then hammer out the logistics to come up with a workable plan. Your original idea can take off in many different directions, taking on an entirely different form. My children attended traditional public school in their younger years, then I homeschooled them during their teens. Having done both, I can assure you that you have to have a plan, and probably a backup plan, for your child’s education. As a public school parent, we pretty much had to plan our life around the school’s schedule. You had to purchase the supplies on their list (never really understood how zip lock baggies and paper towels were included in this list …), not what you thought would be needed or useful. You needed a good system to make sure all forms were returned on time. As a homeschooling parent, I loved the flexibility of being responsible for my own schedule. I looked forward to the end of summer, daydreaming of what the next school year would look like. Picking out the new textbooks and curriculum were some of my favorite things to do. I would make so many lists (what a surprise) … to-do lists, ideal lists where price was no object, and then more practical lists where my budget was the driving force. Placing the order and then waiting in anticipation for them to be delivered. I loved sitting on my patio in the warm sunshine and pouring over those new books. I used to combine several sources in creating my lesson plans. I usually tried to combine our lecture/discussion time by coordinating 2 grades into one lesson with both kids having separate textbook assignments. Notice my change in tense … while I do love this back to school time of year, both of my children have now graduated from high school. Looking back, I’m glad I homeschooled my children, but I’m okay with being done as their teacher (academically, at least). I believe that as a parent, we are never really done teaching our children. What I really miss is the planning! I’ve had a couple of recent experiences that lead me to believe that I can still take part in the back to school planning even though I have college aged children. I recently helped a homeschooling friend who wanted to switch curriculums midyear. We put our heads together and combined what she thought was the best of a few different curriculums. We came up with a lesson plan that had a routine but wasn’t so rigid that a couple of missed days would throw a wrench into the whole plan. I’ve also helped relieve the anxiety of starting the first year of homeschooling (after taking your kids out of public school) for another friend. I gave several ideas for time management when teaching multiple grades. Flexibility is one of the things I love about homeschooling. Just a few weeks ago, I helped a client totally revamp her homeschool room. We changed the way she organized the curriculum she had accumulated for her 4 children ranging from preschool to starting junior high age. I loved living vicariously through them … and I could help you with your lesson planning, help you get everything organized so you know what you have and what you need, or you can just give me your list and let me do your shopping while you relax and enjoy the remaining days of summer. Let Tracy Helps You lighten your load this school year. I can so relate to the frustration of having to buy the specific supplies dictated by the school or even the teacher. 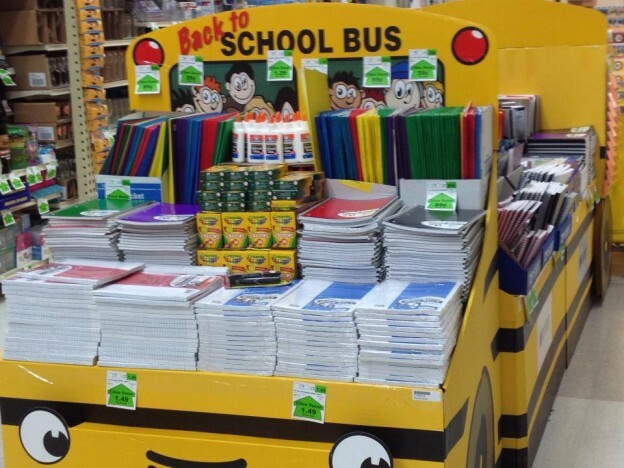 One year we’d already bought the supplies, only to learn that the teacher wanted the kids to have specific colored notebooks for each subject – something that would have been helpful to know in advance! I remember being so excited to go shopping and getting to pick out my new supplies as a kid. As long as you had the basic supplies, everything was fine. Yes, life was so much simpler then! I’m really glad I’m not a child today! Janet, it is definitely a different world from when I grew up!